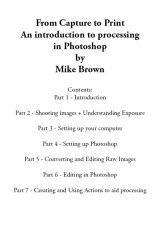 Mike Brown has created some educational Ebooks in PDF format which are available to purchase here. Click on the books below to see how they can help you with your photography. When you purchase an Ebook you will receive a download link by email within 24hours.